You might get a chance to get your hands on Google Glass sooner than you expected. The Financial Times is reporting that Google is making "tens of thousands" more pairs in the next few months. Now, that doesn't mean you'll be able to run over to the Glass store and buy your own unit anytime soon. Google will apparently still give out the opportunity to pay $1,500 for an Explorer Edition through Twitter contests as it has in the past. And it's also possible that a wider rollout will be gradual—according to the FT report, similar to Gmail's beginnings, existing Glasskateers will be able to give invites to their friends to buy Glass. Is Google&apos;s Mysterious Barge Actually a Floating Glass Store? Update: Yup, Glass is getting a little more democratic. 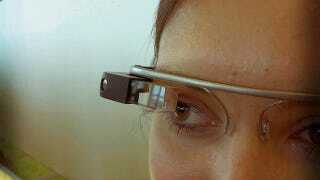 Google announced that it's letting current Explorers refer three friends to buy Glass starting today. Explorers can buy Glass online, and have it shipped directly to them, rather than having to pick up a pair in person. Additionally, Explorers will have a chance later this year to swap out their hardware for a new pair. Glass for everyone (for $1,500) is getting closer to reality.